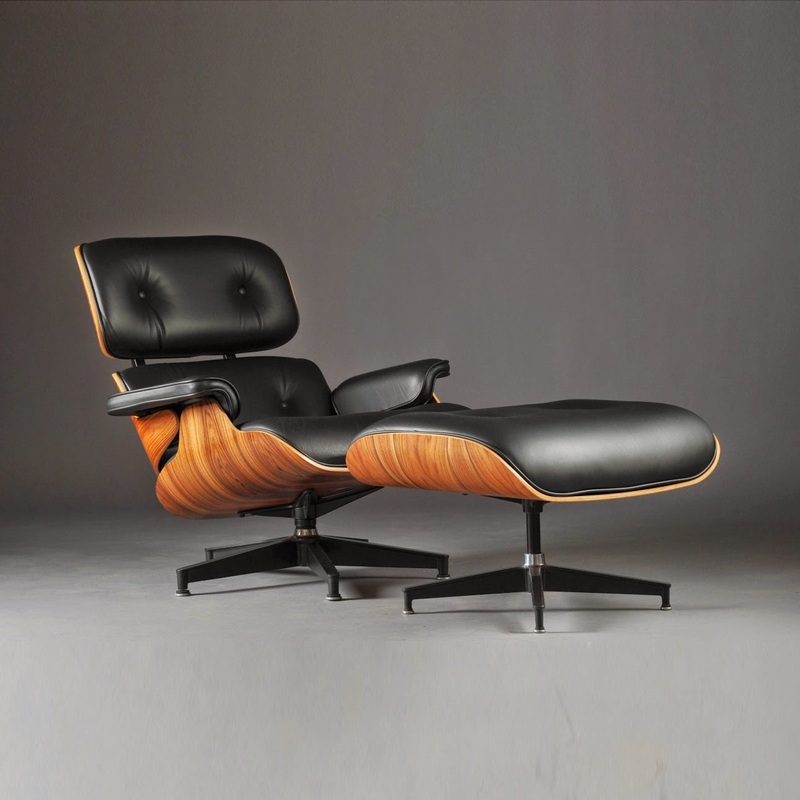 icon of modern chair design: eames modern lounge chair & ottoman; a modern furniture design classic by charles and ray eames in 1956 by design duo charles + ray eames. 'why don't we make an updated version of the old english club chair? 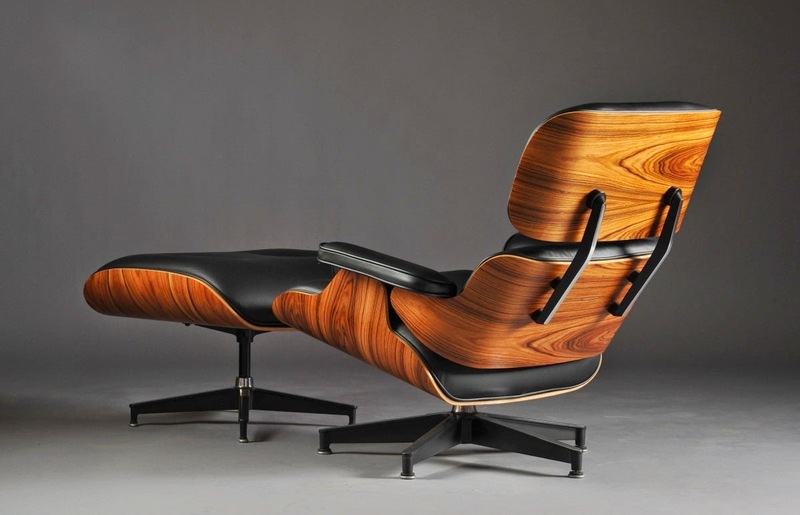 '- with this comment, charles and ray eames initiated the development of the eames lounge chair & ottoman, a process that took several years. the aim was to satisfy the desire for an amply proportioned chair that combined ultimate comfort with the highest quality materials and craftsmanship. with the classic modern design of this armchair in 1956, designers charles and ray eames set new standards: it is not only lighter, more elegant and more modern than the conventionally ponderous club chair – it is also more comfortable. 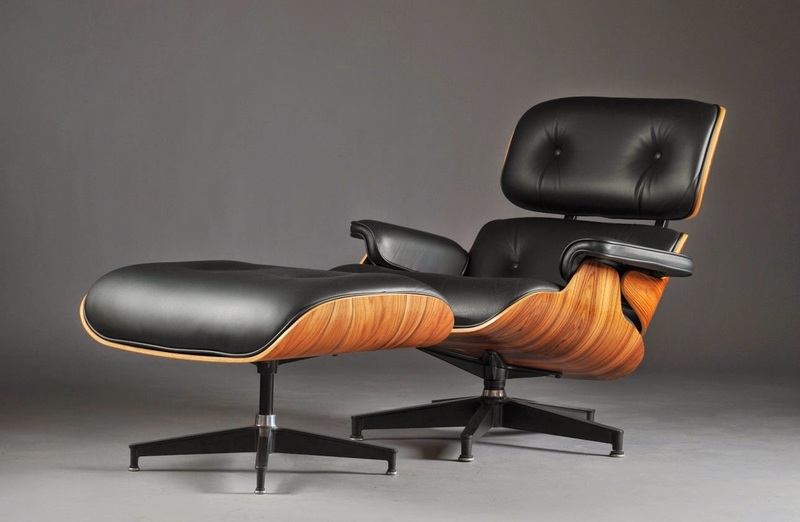 with these qualities, the lounge chair became one of the most famous designs of charles and ray eames and has attained the status of a classic in the history of modern furniture. the lounge chair is now available from vitra in two sizes: with classic dimensions and with new larger dimensions. furthermore, the various combinations of leather upholstery covers, wooden shells and bases are now joined by a white edition and a black edition of the lounge chair with corresponding details. 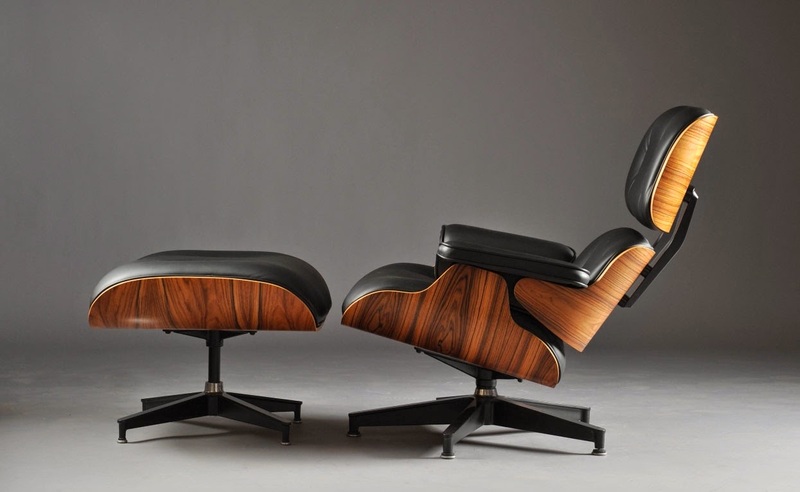 tribute to a classic design chair: the eames office designed the ibm pavilion for the 1964-65 world's fair in new york, and the year 1969 offered the opportunity to participate in the exhibition 'qu'est-ce que le design?' at the musée des arts décoratifs in paris. in 1970-71, charles was appointed as the charles eliot norton professor of poetry at harvard university. moma again presented an exhibition of the eameses' work, entitled 'furniture by charles eames', in 1973. charles eames died in st. louis in 1978; ray's death followed in 1988. ray eames was born as bernice alexandra kaiser in sacramento, california, in 1912. she attended bennett college in millbrook, new york, and continued her studies in painting under hans hofmann through 1937. during this year she exhibited her work in the first exhibition of the american abstract artists group at the riverside museum in new york. she matriculated at the cranbrook academy of art in 1940 and married charles eames the following year. from 1941 to 1943, charles and ray eames designed and developed stretchers and leg splints made of moulded plywood, and in 1946 they exhibited their experimental moulded plywood furniture at the new york museum of modern art. 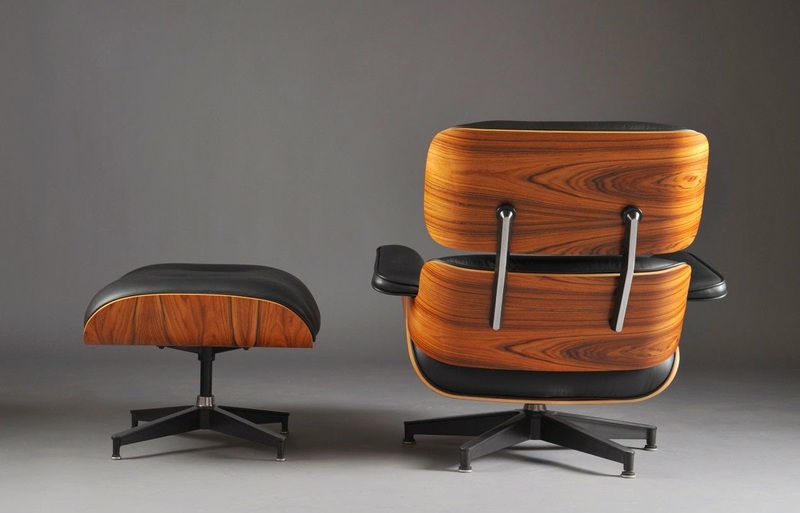 the herman miller company in zeeland, michigan, subsequently began to produce the eameses' furniture designs. charles and ray participated in the 1948 'low-cost furniture' competition at moma, and they built the eames house in 1949 as their own private residence. around 1955 they began to focus more on their extensive work as photographers and filmmakers, and in 1964 charles received an honorary doctoral degree from the pratt institute in new york. 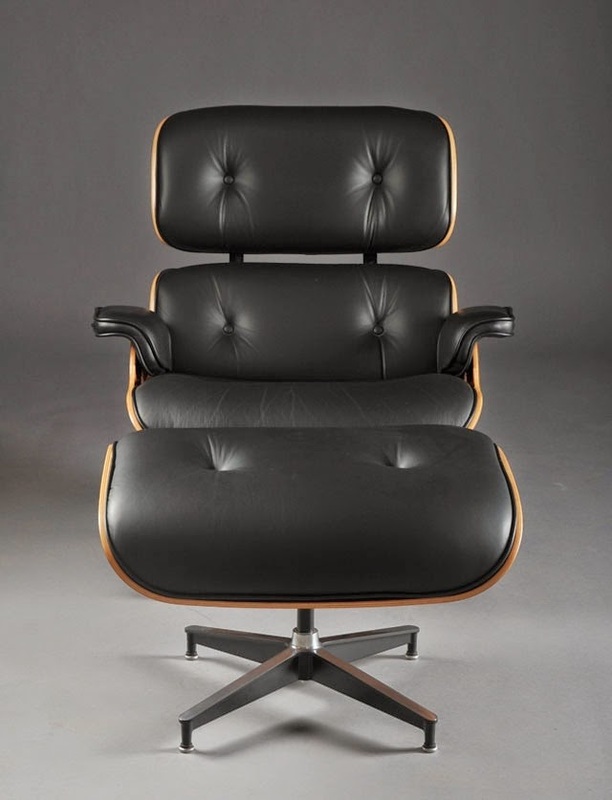 charles eames, born 1907 in st. louis, missouri, studied architecture at washington university in st. louis and opened his own office together with charles m. gray in 1930. in 1935 he founded another architectural firm with robert t. walsh. after receiving a fellowship in 1938 from the cranbrook academy of art, he moved to michigan and joined the faculty the following year. in 1940, he and eero saarinen won first prize for their joint entry in the competition 'organic design in home furnishings' organised by the new york museum of modern art. during the same year, eames became head of the department of industrial design at cranbrook, and in 1941 he married ray kaiser. charles and ray eames have had a profound and lasting influence on vitra. the company's activity as a furniture manufacturer began in 1957 with the production of their designs. yet it is not just the products of charles and ray eames that have left their mark on vitra. even today, their design philosophy continues to profoundly shape the company's values, orientation and goals. 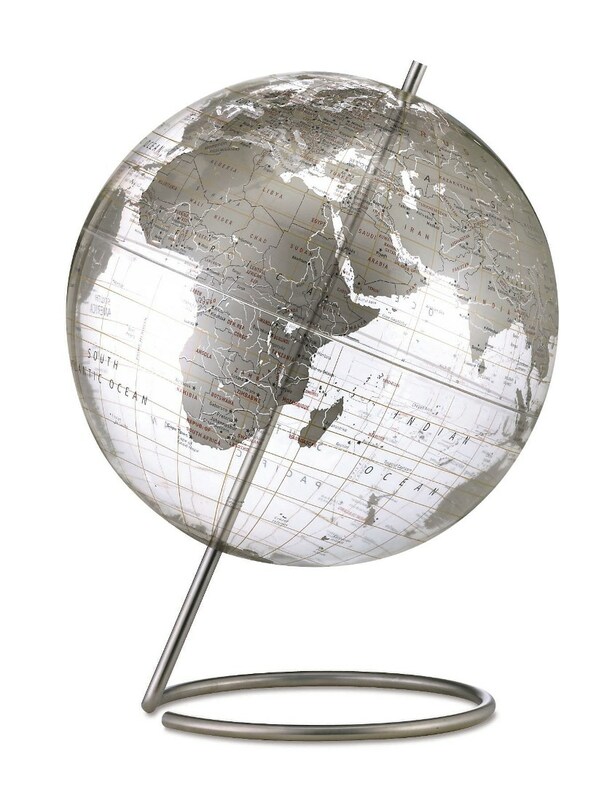 no mid-century modern office desk is complete without a world globe! set of 4 stylish modern metal mid-century styled iron coat hooks made for coats. high quality durable & rustic stylish coat & hat wall hooks created to last! 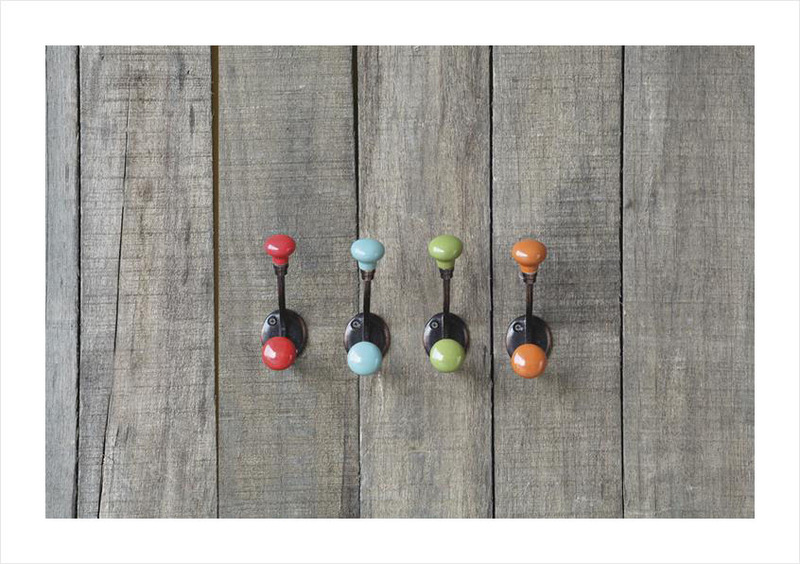 the gumball colored glazed porcelain-like look of the hooks and quality iron construction with a distressed metal finish make this an excellent set of wall hooks in any room. place our hooks in your entry or bathroom or wherever you need to hang your items.. they make a beautiful display!